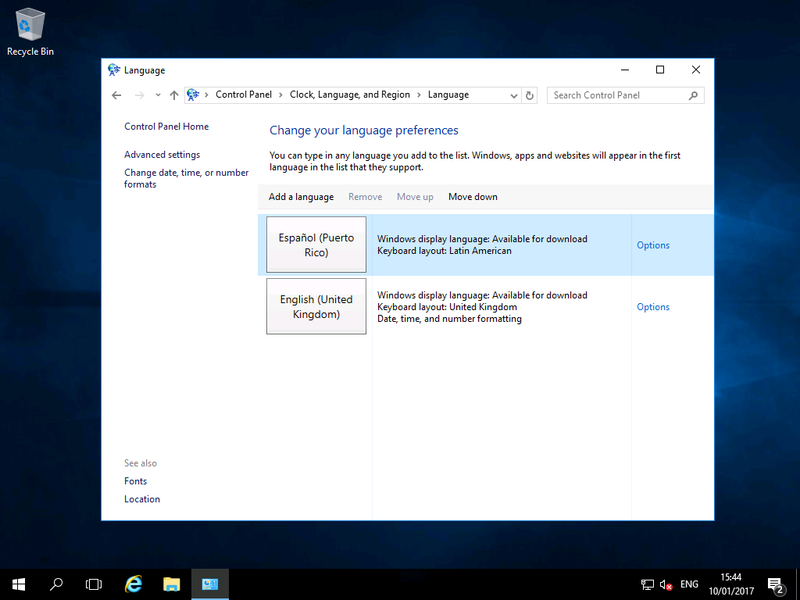 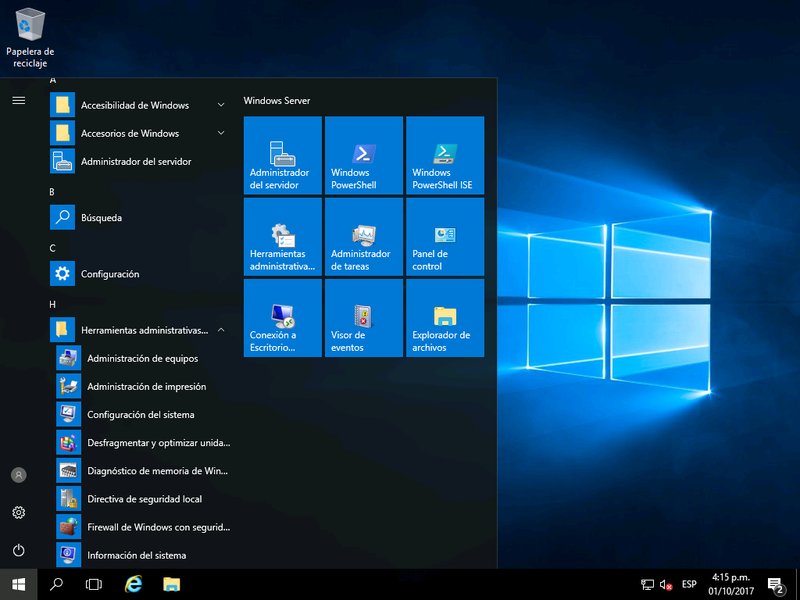 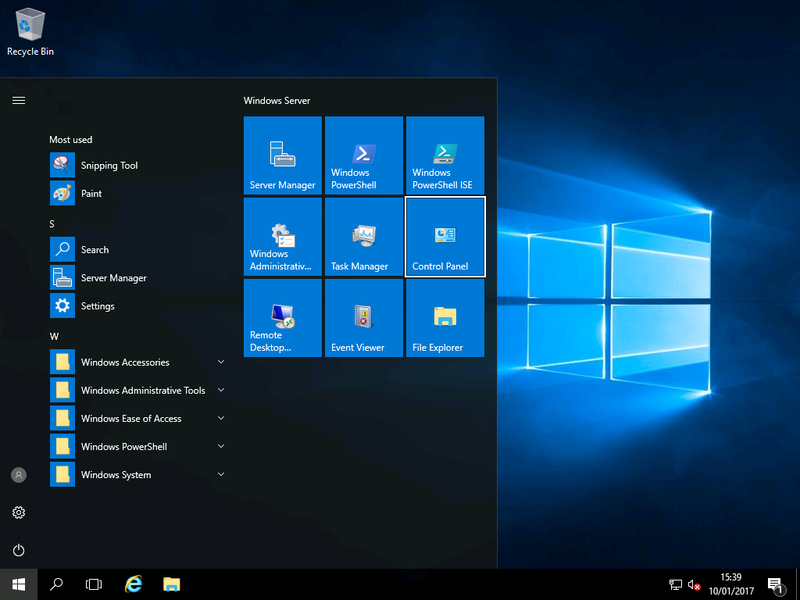 OS Language – Windows 2016 & Wndows 2019 Workstation! 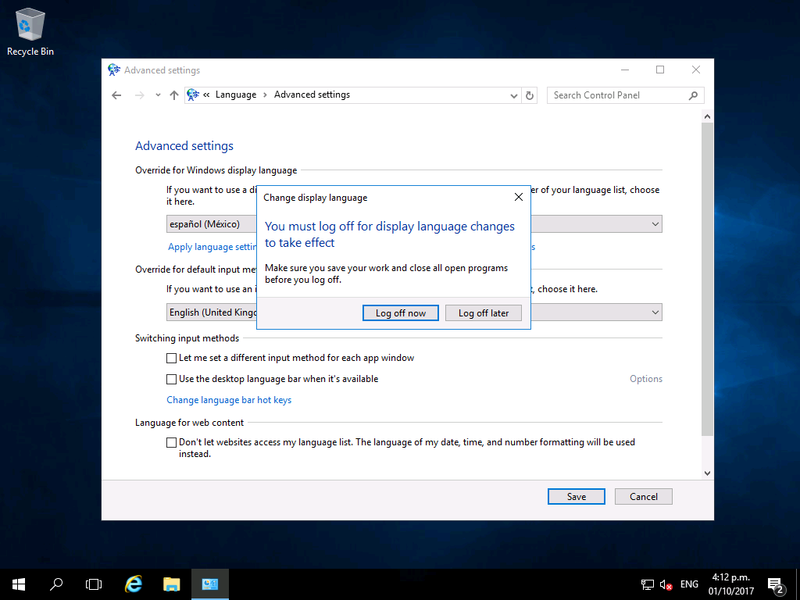 Once you have installed Windows Server 2016, you may later need to change the display language. 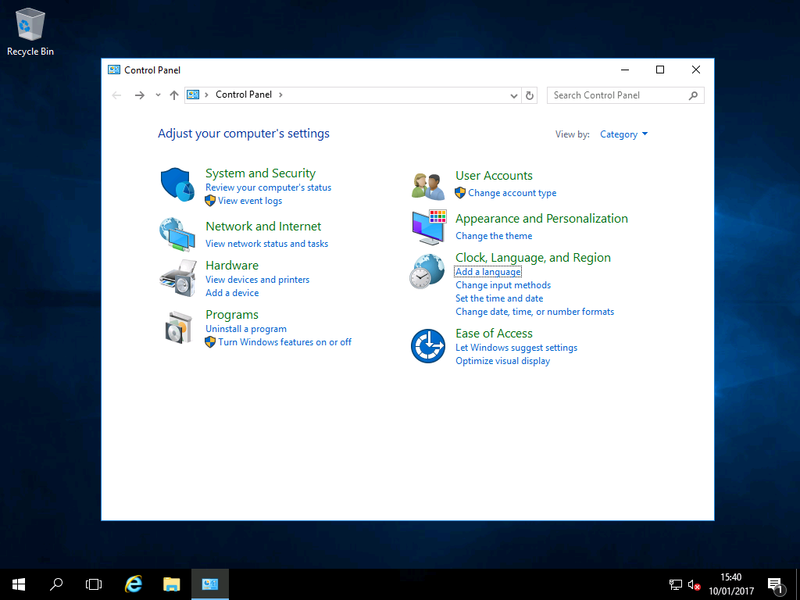 This can easily be achieved via the Control Panel. 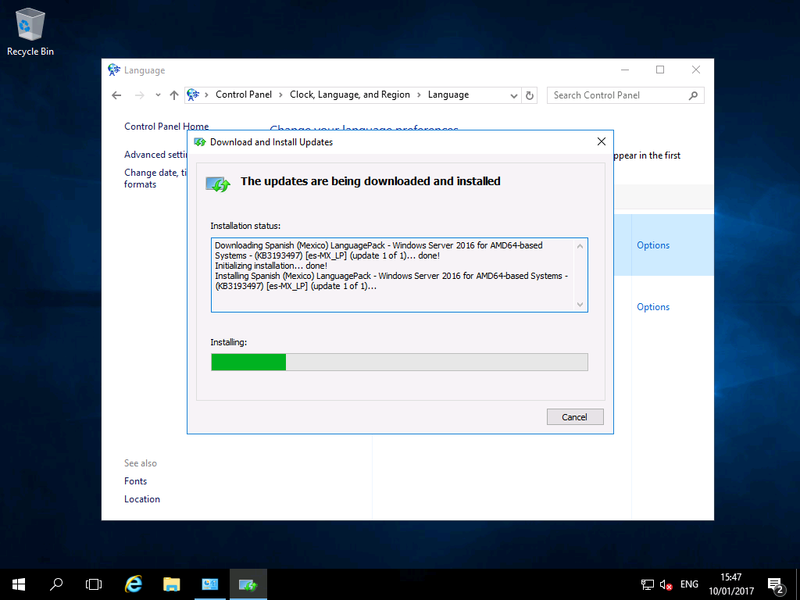 Unlike previous versions of Windows, Server 2016 downloads the language packs when you need them; so this process may take a little longer. 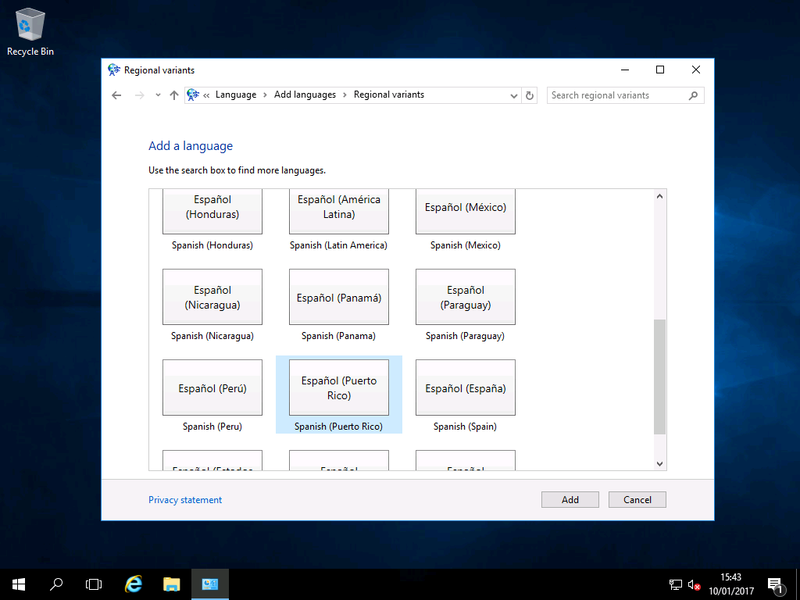 4) Double click a language of your choice. 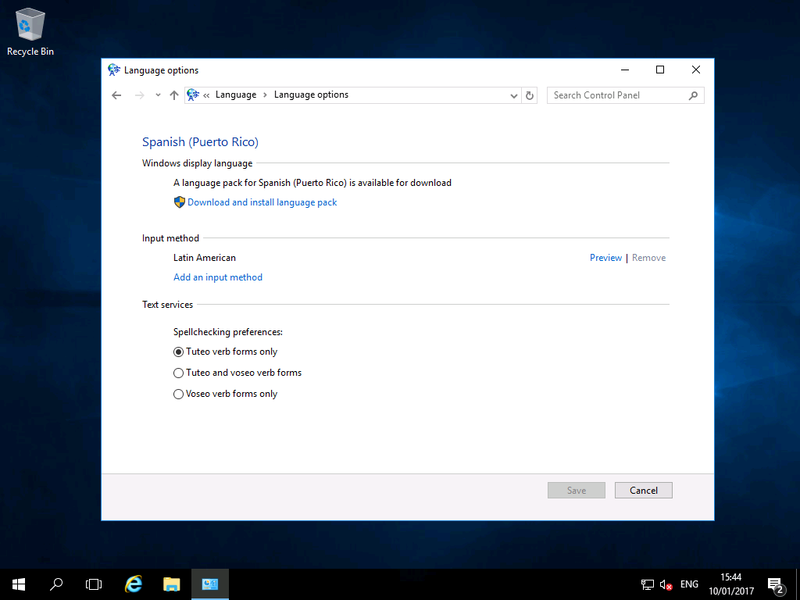 7) The language pack will download and install. 8) Once downloaded, on the left click “Advanced Settings”.